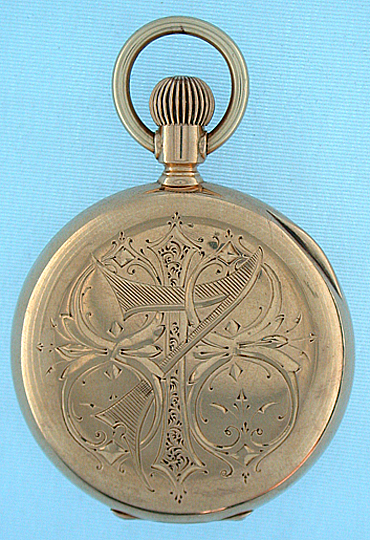 Patek Philippe 18K gold antique ladies pendant watch circa 1887. 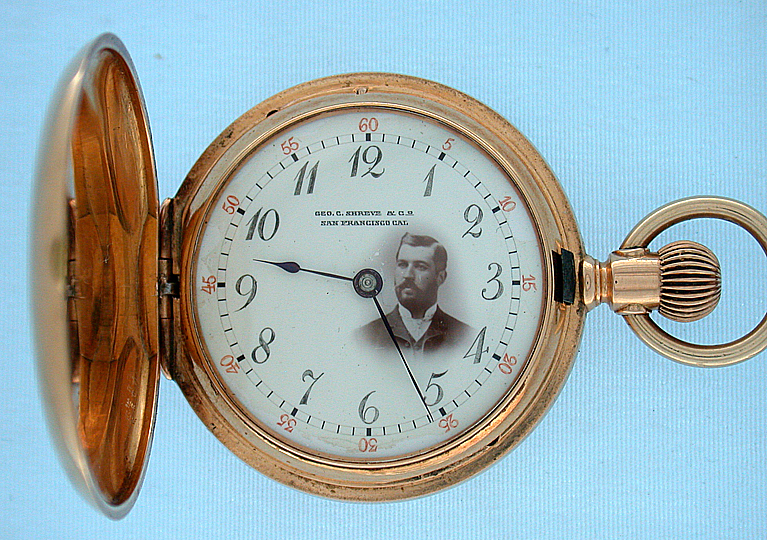 White enamel dial with red and black numerals, blued steel hands, and a photo of the presenter circa 1887. 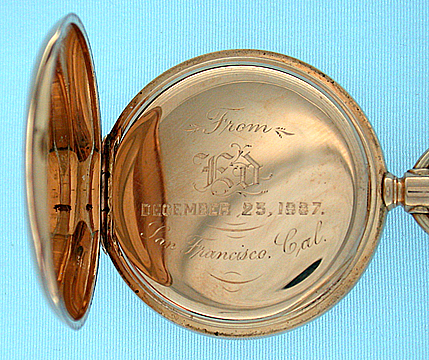 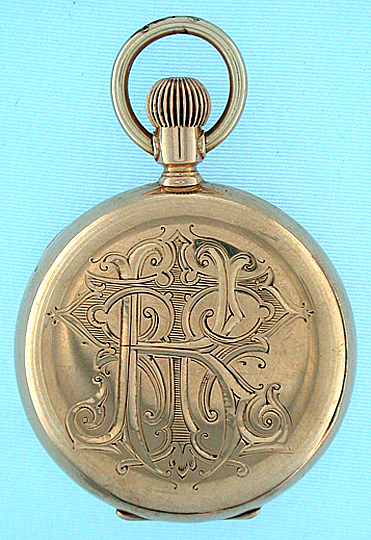 Plain polish case with fancy monogram and date. 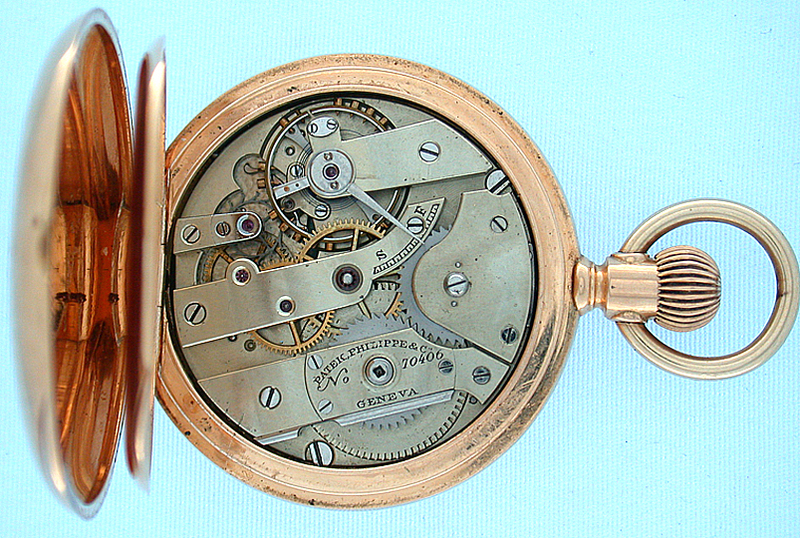 Nickel 18 jewel movement with wolfs tooth winding.